Shansi was born in the wild outside a protected area. As a result of man’s persecution of her species, Shansi was soon the only remaining member of her family. Her brothers had been driven off by their mother who sadly was shot by a farmer after she was caught in a gin-trap. For many days Shansi remained in the immediate area, but hunger soon forced her to seek new pastures. Initially her physical condition deteriorated as she battled to find prey animals; and she only encountered domestic animals. The cattle were simply too large for her kill; she needed to find her natural prey animals like impala and common duiker, but these species were pretty scarce. 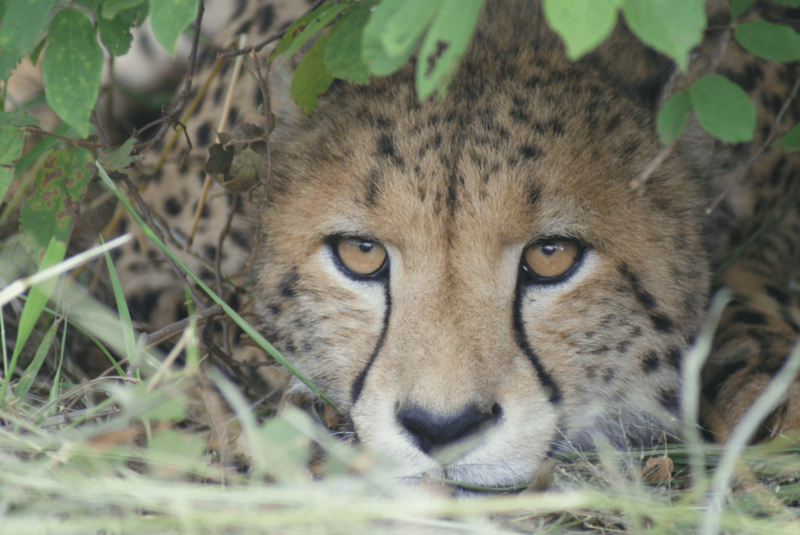 The young cheetah female moved further and further from the area in which she was born. Eventually she started encountering more prey species and her condition improved as she hunted successfully. 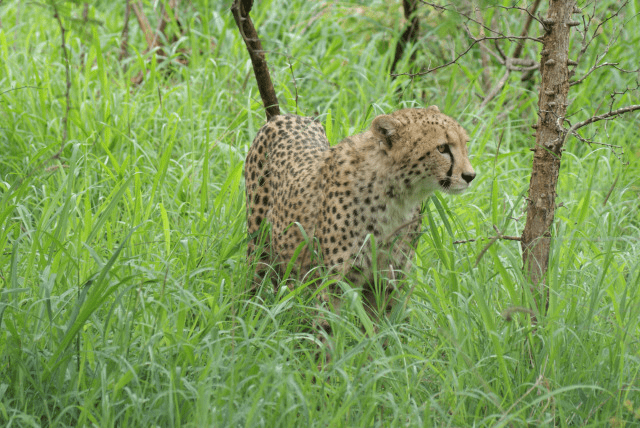 She was even so fortunate as to meet up with a young male cheetah and within days the cats joined forces. The future looked good indeed. Then tragedy struck; the young male was hit by a motor vehicle one night as the cats crossed a road. Shansi was on her own again. She only sniffed his dead body for a moment before she moved off. Within hours she crossed another two roads and eventually found a hole under a fence that had been made by warthogs. She entered hesitantly not knowing what circumstances would face her in this unknown territory. She soon realised that there were no other cheetahs in the area, but game was plentiful and for now that was all she needed. Initially she observed the humans in their vehicles and on those moving on foot; they were totally unaware of her presence, but as vultures circled above the leftovers of the kills she had made, the humans occasionally came to inspect. She avoided them at all costs. It took almost four months, but eventually she became more relaxed with human activity in the area and it seemed as if the humans meant her no harm. More and more she allowed herself to be seen. Shansi’s take on the situation was correct; the humans at SanWild meant her no harm. She was finally safe from man’s persecution as unbeknown to her she had found the safety of a 6000 hectare wildlife sanctuary where wild animals roam free in safety. SanWild needs your support in order to help animals like these. Shansi and her kind have run out of wild spaces where they can live wild and free. As man takes more and more for himself, animals like her are driven to the brink of extinction and if we do not act now, her kind may become extinct in the near future. Shansi is just one of the millions of wild animals that find themselves in desperate need of help so that they may find a safe home where they can live out the rest of their lives in safety. 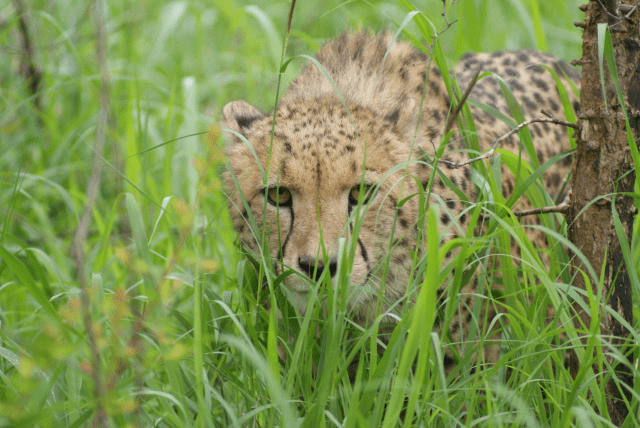 At SanWild we are providing this safe home where wild animals can live wild and free among their own kind in a world they share with many other wild species.